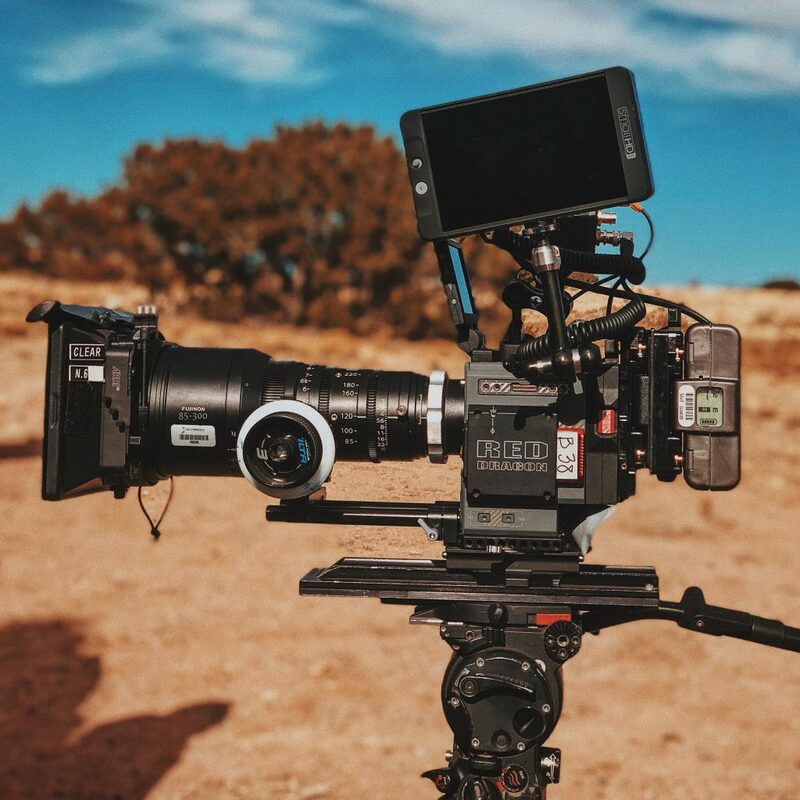 When it comes to new advancements of video streaming and production, keeping up with the latest tech trends is a major requirement. If you, just like us at InPlayer, work and have background in the video monetization niche it is an absolute must to stay up-to-date with the video production and streaming trends. This new world of TV and video technology has changed a lot over the past few years and it has only begun. However, the one you need to take closer look at is definitely 4K (even 8K for that matter) since it is no longer just a buzzword or a cutting-edge technology. 4K streaming is penetrating the mainstream, especially the area of TV displays and video recording. What are the different details behind 4K technology? At its most basic, 4K or sometimes referred to as Ultra HD is four times the resolution of Full HD. This means 4K screens have a resolution of 3,840 x 2,160 meaning four times as many pixels as 1080p. What is being achieved with this is increased pixel breakdown offering greater variety of colors as well as frame rates. These frame rates are higher than conventional 1080 pixel HD resolution. In other words, the more pixels there are, the greater detail the picture contains. This is a noteworthy upgrade, making huge difference particularly when watching native 4K content. The pixels themselves are four times smaller getting a specific part of the bigger picture. And this is the main reason why having a larger screen size is an absolute must for 4K technology to make sense. More pixels have bigger impact on a larger display. Since the resolution is much higher, the first order of 4K streaming business is more bandwidth and very fast Internet connection. Netflix, for example suggests 25Mbps downstream speed to watch 4K content over its service. How about availability of native 4K content? We should point out that finding things to watch in 4K resolution can still be a little bit problematic, although not as much as it used to be couple of years ago. In fact, there is plenty of 4K content out there if you know where to look. 4K streaming has gone past the eye candy landscapes and the demo phase that early HD content went through. Nowadays you can find plenty of television and movies in the format. Just some very popular shows available in 4K include: Narcos, Stranger Things, Better Call Saul, The Martian, Planet Earth II etc. What is the current estimated number of 4K users? Research findings from 4k.com projected that by 2020 almost half of all U.S homes will own a 4K TV of some kind. The penetration of Ultra HD TVs will jump from 5% in 2015 to staggering 48% by 2020. This forecast is largely due to TV sets becoming more available at affordable prices and of course the need for bigger TVs. Quite an amazing climb! 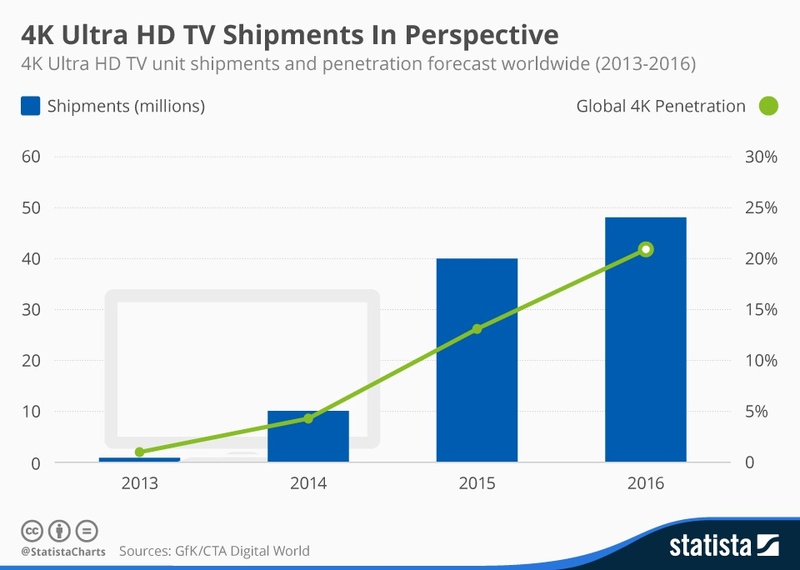 In this graph from Statista we can see the 4K TV shipments and market penetration from 2013-2016 going up by 20% with no intention of slowing down. Although the world has still not caught up with the ready available 4K technology, 8K is coming and is only a few years away. 8K TVs have 7,680 pixels across and 4,320 vertically, for a total of over 33 million pixels. Since 8K screens have about 33 million pixels in total, meaning they can render a 33-megapixel image. This is nothing short of the clearest picture you’re ever likely to see. Also, it really seems like a stretch to have to buy an 8K TV when 4K TVs are only now beginning to enter the mainstream. However 8K now seems inevitable – and it’s likely that the driving force in creating 8K will be VR. Wondering how to monetize your 4K streaming? If you’re ready to make a 4K production available for streaming do us one favor: know the value of what you have. Don’t forget to implement a way to make money or manage subscriptions from all those eager viewers. Choose a solution that is a must in the forefront of technology. That way you will know your viewers won’t be disappointed and the result of your own efforts will be multiplied. Sufficient bandwidth, and content of interest are ultimately reliant on one another for success. All that plus your new video and digital asset monetization platform offered by the great team here at InPlayer. See you soon in 4K!